Kidz Retreat is a family-owned and operated childcare centre in Geraldton. It provides quality environments and programs for children aged from 3 months to 6 years. Kidz Retreat asked us to create a new website that was visually appealing and stimulating, with all information clearly defined and easily accessible on all devices including mobile phones and tablets. Additionally, the website needed to be simple to update with new information as required. 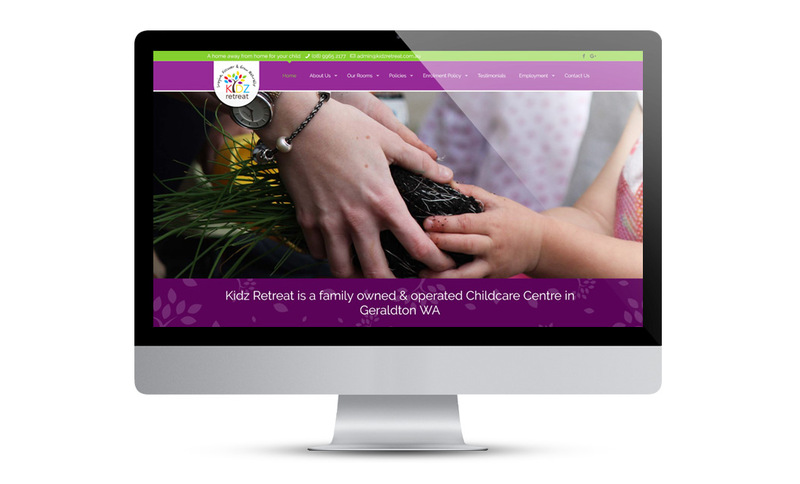 We created a vibrant and colourful website that clearly reflected the industry, and gave Kidz Retreat a fresh new look that demonstrates the commitment and care they provide to the children enrolled at the centre. The new design projects a modern, professional image and helps to position the business as a leader in their field. The clear, appealing photographs, coupled with 5-star testimonials and comprehensive information about the centre and its staff encourages new customers to trust Kidz Retreat. Parents can easily register their interest and book an appointment online to visit the facilities, which provides a steady stream of new customers waiting to send their children to the centre. Prospective employees who are drawn to Kidz Retreat can also apply for positions or express their interest online, which makes it easy for the centre to fill new roles with qualified staff. Having such comprehensive information available on their website also saves Kidz Retreat time and money by not having to answer commonly-asked questions over the phone. 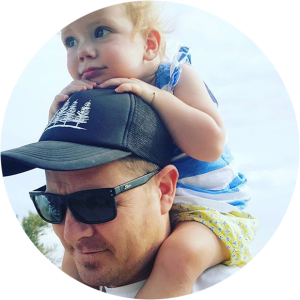 I’m a Geraldton Based web designer and online marketing consultant with over 10 years experience. I help business owners and CEOs take control of their websites & online marketing. They have done an amazing job creating a website for us. Always respond quickly when in need of help. Extremely helpful with making our new website, definitely recommend! The Mid West Academy of Sport are very happy with the work Scoop Designs did for us. We needed to completely overhaul our website and Andrew assisted us with the design as well as content ideas and total functionality. Andrew did a wonderful job and is extremely easy to work with, he got what we wanted right from the first meeting and his continued support with the website is fantastic. I would recommend him and his work to any businesses as he is a true professional. Andrew totally re-vamped our out dated website, and managed to create something really attractive and vibrant. The reaction from new and old clients is overwhelming. Exactly what we were looking for, nothing too much trouble or out of reach and the result is perfect. Thanks Andrew! From start to finish nothing was too much trouble for Andrew! He is very professional and easy approachable making no question seem to "dumb" thanks for the awesome service and for creating my website that suits and works for my company perfectly! I would highly recommend Scoop Design to anyone, and to top it of he is very well priced! Thanks Andrew!